It was a ridiculously cold dry morning by the edge of Loch a Chroisg near Achnasheen. 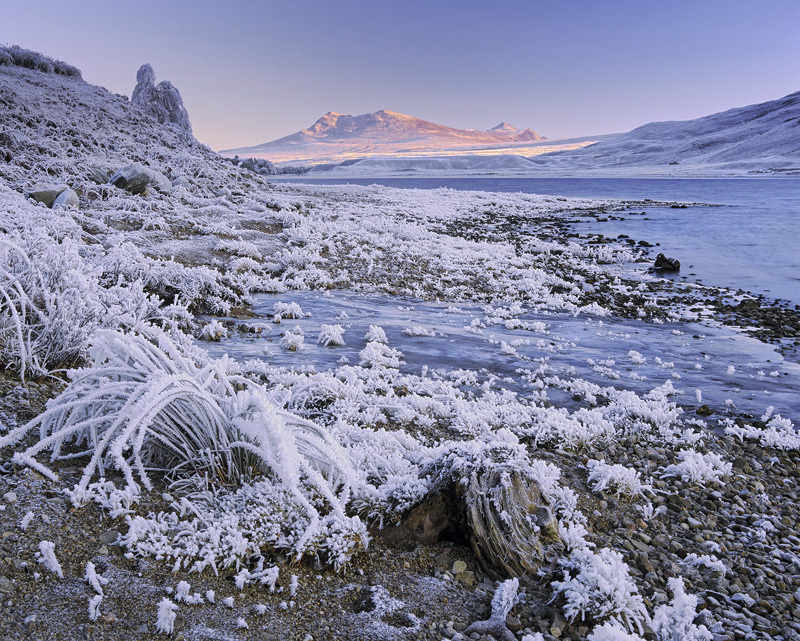 A stream had turned to solid ice and the ground was as hard as iron every twig and blade of grass coated in rime frost. Shivering I composed at ground level, watching the sun slowly rise and paint a distant peak orange which served to juxtapose the refridgerated foreground with the heat and hope of the sunlit hill.